Home > Recipes + Food > Easy Drink Ideas > 10 Keto Smoothies to Get Your Day Off to a Low Carb Start! Whether you’re looking for a deliciously healthy breakfast, or a post-workout snack you’re going to love these low carb keto smoothies! 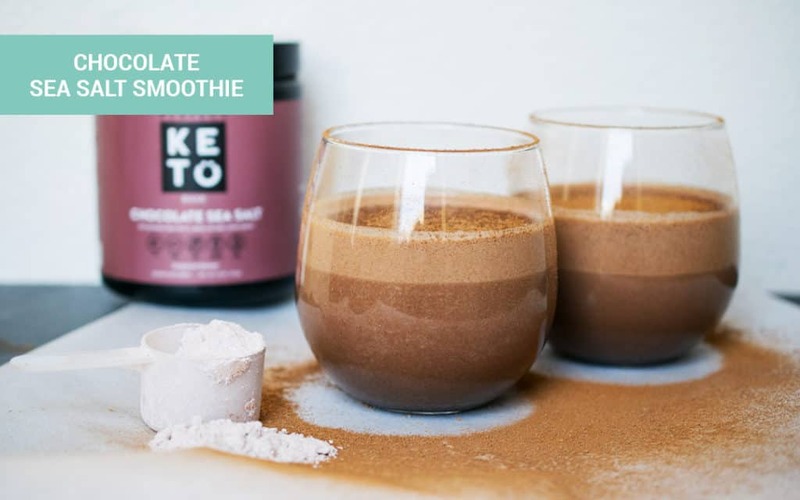 If you want to get started with a ketogenic lifestyle but you’re feeling a little bit overwhelmed these keto smoothies are a good way to start. 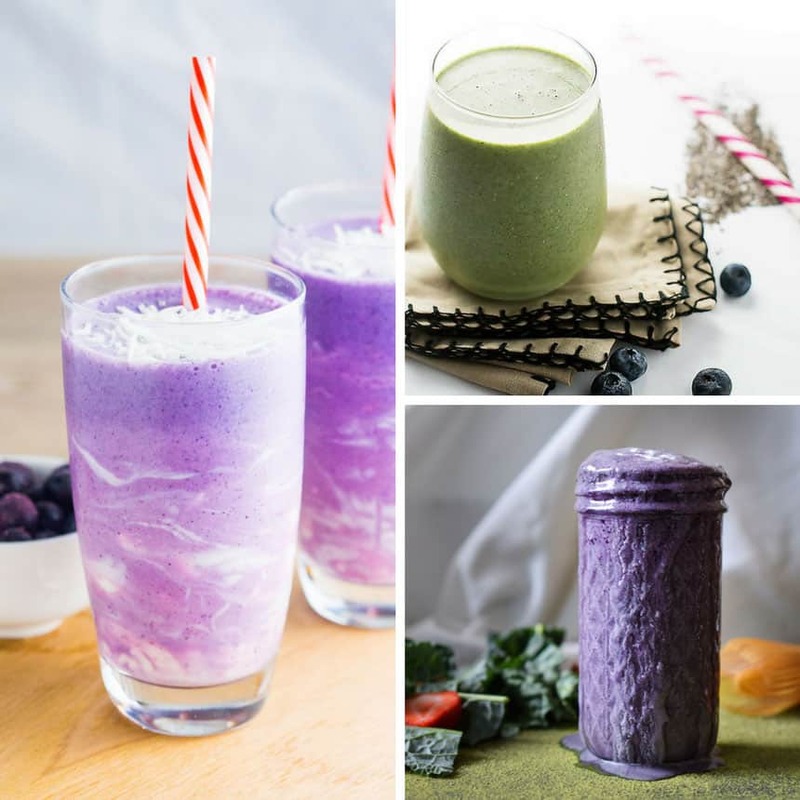 Switch out your usual breakfast, or post-workout snack, for one of these delicious low carb smoothies and you’ll have taken your first step on the road to ketosis. If you miss your citrus fix then this Citrus Keto Green Smoothie should be on your meal prep list for next week. 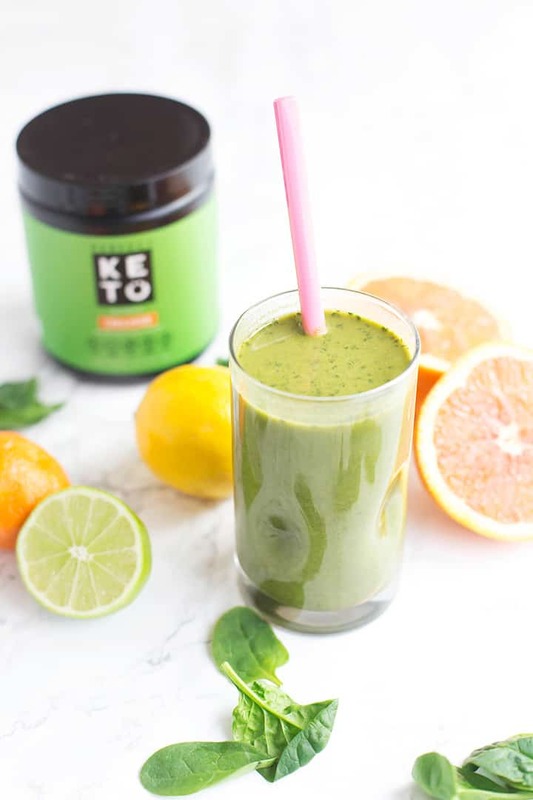 It’s full of citrus flavour to appease your taste buds, and packed with the nutrients of 26 different fruit and veggies (minus the carbs of course) thanks to a scoop of Keto Greens Powder. If you prefer your smoothies to taste of chocolate then give this one a try. It tastes totally decadent, but is guilt free, and thanks to a healthy dose of collagen it’s going to make your hair, skin and nails look fabulous too! 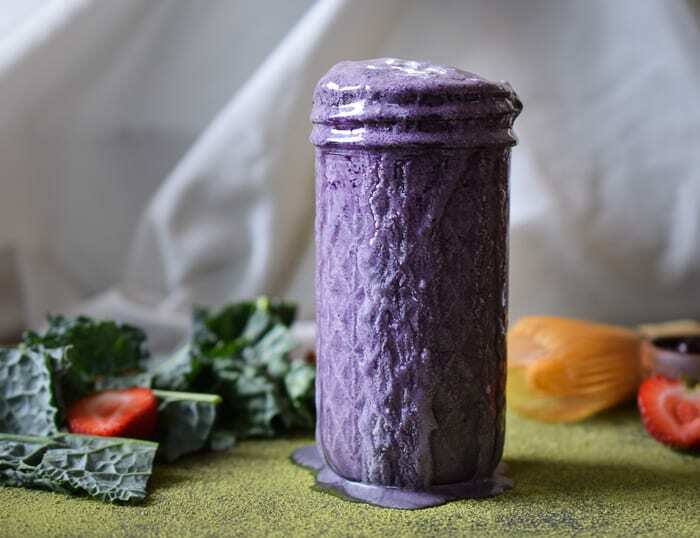 If you’ve succumbed to matcha mania then check out this smoothie (that is the most amazing colour thanks to the blueberries) for a delicious drink to kickstart your day! 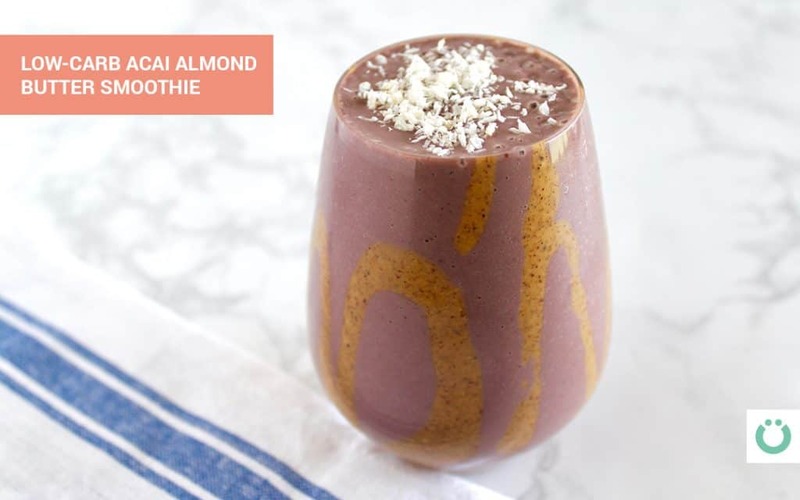 If you’re looking for a post-workout smoothie that’s packed with anti-oxidants look no further than this Low-Carb Acai Almond Butter Smoothie which also has collagen in for that all important soft-tissue recovery. If the sun is beating down and you’re desperate for a refreshing drink to cool you down try one of these strawberry smoothies. You can make it with almond milk, coconut cream or even heavy cream. 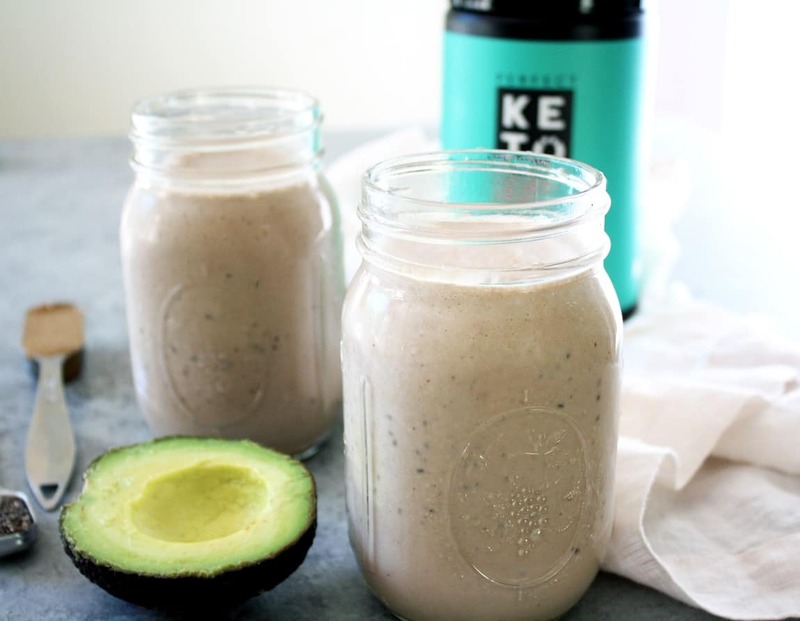 If you want to know how to make your own ketogenic friendly smoothies check out this excellent post that Jennifer has put together. 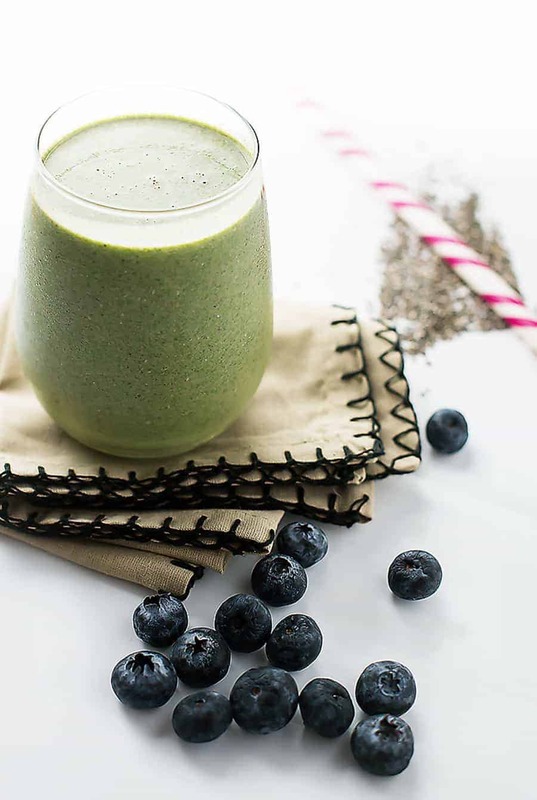 Not only does she share the recipe for her favourite low carb green smoothie but she also gives you a run down of how to build one from scratch! 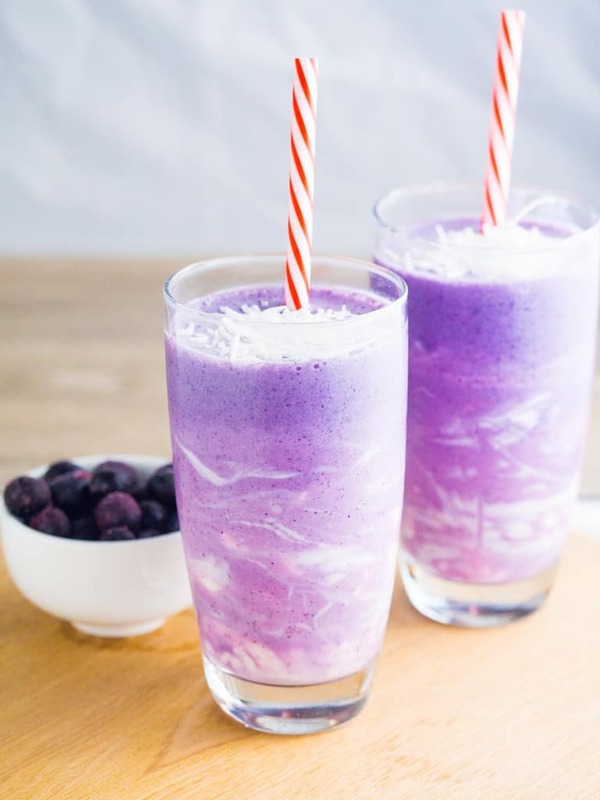 Ok, if you like to share your Keto progress on Instagram you have to make this galaxy smoothie, if only because it looks amazing and is screaming to be photographed! 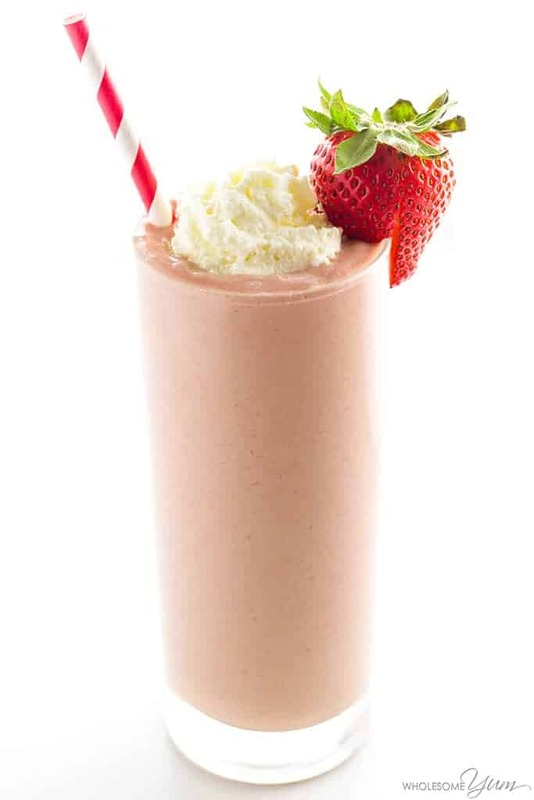 Lisa has a whole stash of keto smoothie recipes over on her site but I picked this one out ready for strawberry season. 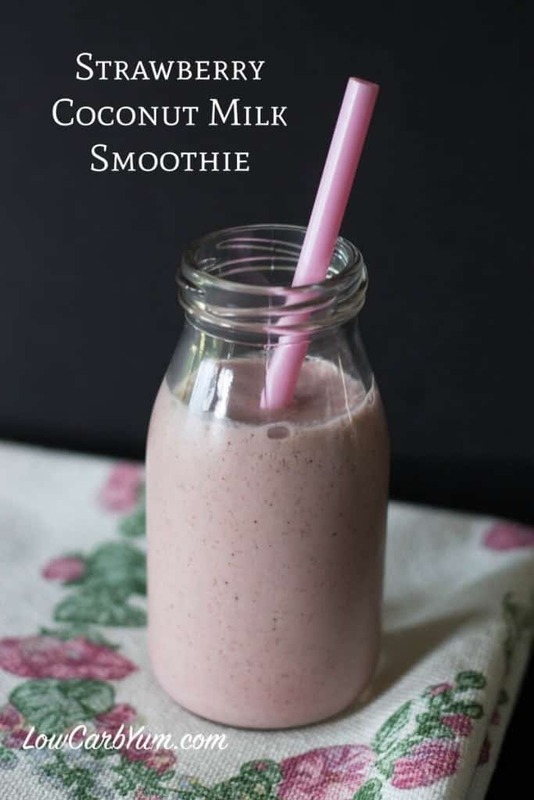 Oh and because it literally takes less than two minutes to prepare so it’s the perfect smoothie for those mornings where everything goes pear shaped and you don’t have time for breakfast! Oh and you totally need a set of those vintage milk bottles to drink your smoothie from! Up until now we haven’t yet addressed the elephant in the room… and that is that smoothies are usually made with bananas to make them nice and thick. But since bananas and keto do not belong in the same sentence as each other you need a different way to thicken your smoothie. 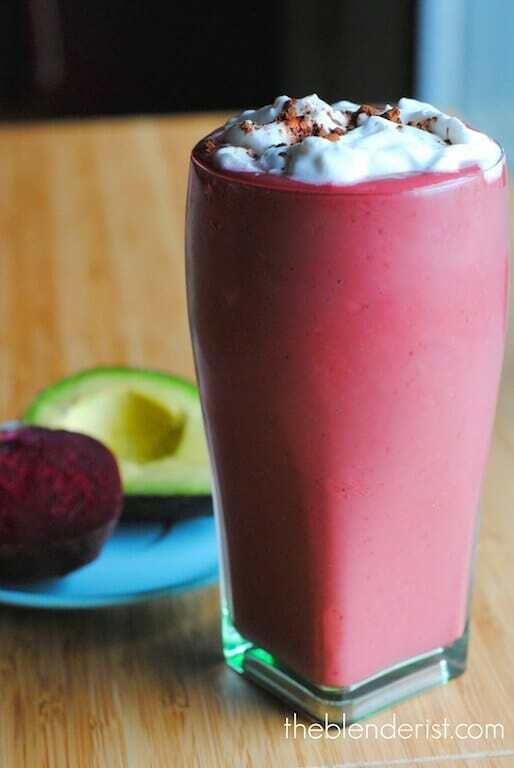 And Jasmine will tell you what it is when you check out her deliciously red velvet smoothie recipe! Previous PostPrevious 10 Delicious Keto Bread Recipes That Are (Almost) as Good as Sliced Bread!